Well the time is finally here!!! I am SO excited to announce to you that we have teamed up with Color Stories Inspiration (CSI) for the month of September, just like a few of you guessed already. Debbi Tehrani, owner of CSI and my self have worked pretty hard behind the scenes to coordinate everything so we can provide you with cool challenges and PLENTY of inspiration through out September. We have invited members of CSI as well as our main sponsor 7 Dots Studio to also be our guests at Once Upon A..Sketch this month. First of all , there will be FOUR challenges here at Once Upon A..Sketch for September instead of our usual 1 challenge . This is because CSI has 4 challenges each month. Each challenge will be revealed on Saturday morning (Australian time) to coincide with the challenge reveals at CSI in the USA and you MUST remember that you will have just 9 days per challenge to enter your layouts here on our side bar. As you know usually our challenges are month long. 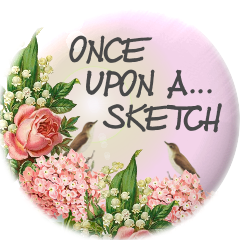 Now, we know that Once Upon A..Sketch is not a colour challenge site like CSI but...we thought we would give you something different and something more exciting to try. Why not right? Our winners here at Once Upon A..Sketch will be announced at the beginning of October and our Design Team will look at ALL the entries from ALL the challenges. So the more challenges you play along at, the more chances you have of being one of our challenge/prize winners or Top 5 Featured layouts. This is a little different to CSI who announce their "featured" layouts on a weekly basis. Here is Nathalie's take on our challenge. Now here is how the team from Color Stories Inspiration interpreted this challenge..
We also have the team from our main sponsor at 7 Dots Studio who played along with our challenge this month. 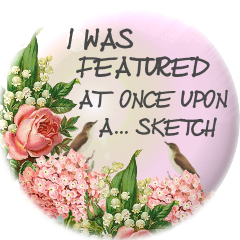 And here is some inspiration from our own team here at Once Upon A...Sketch.. 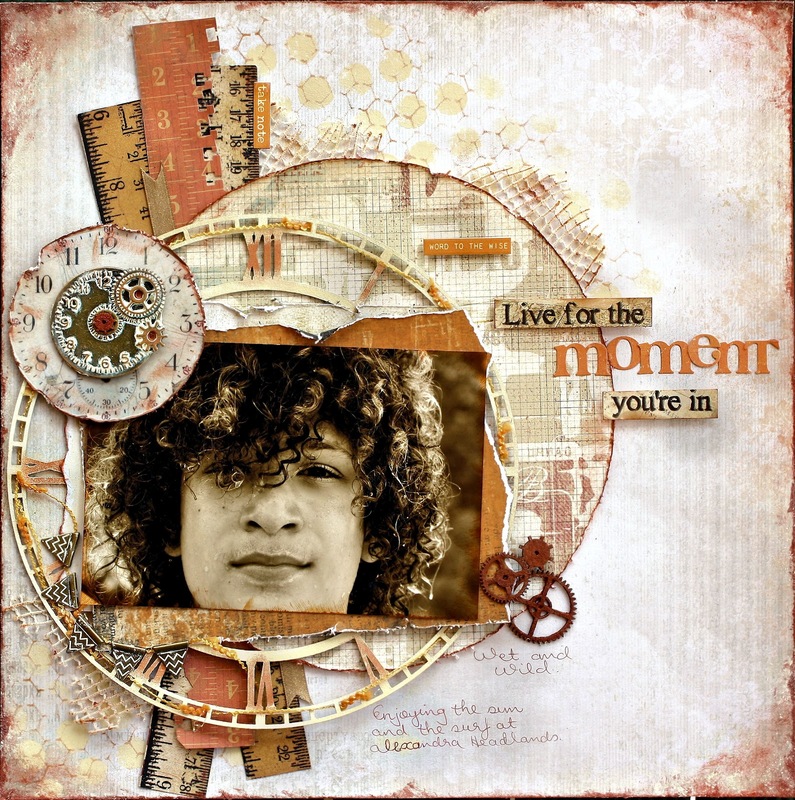 **Imaginarium Designs chipboard title, border and frame. Scrapbook Fantasies ribbon. **Imaginarium Designs chipboard cogs. 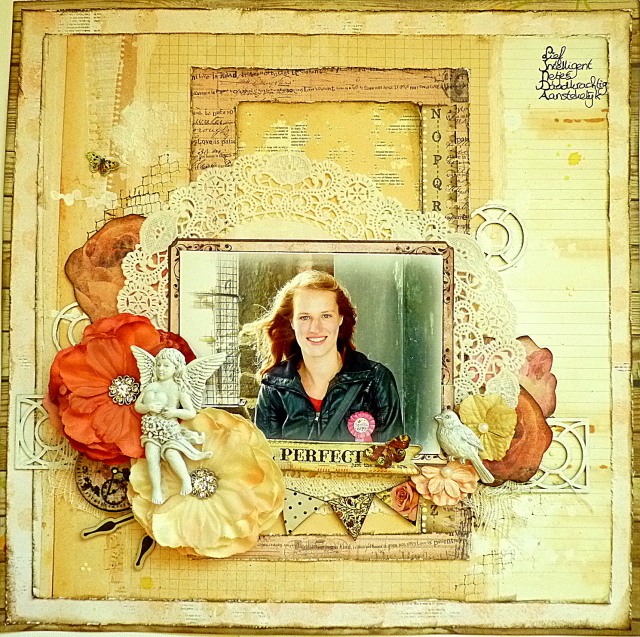 Scrapbook Fantasies ribbon. 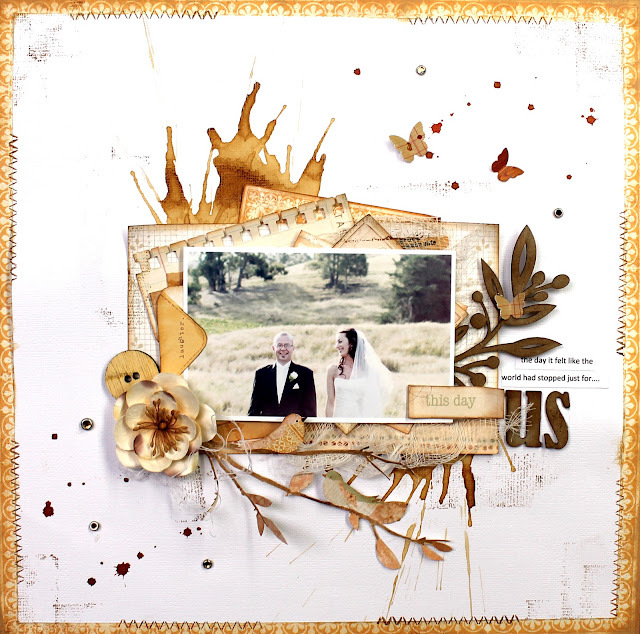 **Imaginarium Designs chipboard alphas and leaves. 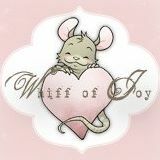 7 Dots Studio is a polish scrapbooking company. 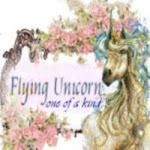 It was created by a mom of 2 little children, who loves scrapbooking and cannot sit in one place for longer than a while :) Dream could come true, because of two friends - Finnabair (Anna Dąbrowska-Pękocka) and Anai (Anna Iwanowska-Pietkiewicz). Wonderful women, scrapbookers and designers, who love creating. We launched our first two lines in Autumn 2011 - they were extremely warm welcomed by scrapbookers from all over the world. We always choose best possible materials – we are also scrapbookers and we know, how important is the quality of products, which we use to make our memories live forever! 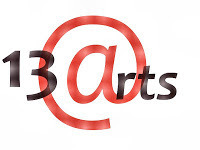 We love working with many kinds of media and all our products are media friendly. ** The deadline for this challenge (FOR THIS MONTH ONLY )is 2:00pm Monday 17th of September Australian Eastern Standard Time . The Design Team will vote and the Top 5 layouts PLUS Top 5 featured layouts will be announced soon after the challenge has finished. Such a gorgeous reveal. Thanks, Nadia, for this fun project! I'm sure all of our members will have as much fun as I had making my page! WOW all such stunning LO's.. had a lot of fun creating for this challenge!! This is such a great idea, to combine these two great challenges!!! I am so glad to be a part of this. Hope there will be LOTS OF contributions! First of all, welcome Nathalie!!!!! Great challenge and absolutely stunning creations ladies!!!! wow great inspiration everyone, I cant wait to give this a go. wow what great L.O. 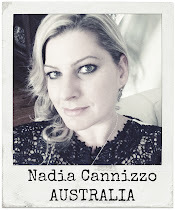 and an amazing group creative ladies that you have collected here Nadia...thanks for the wonderful inspiration!